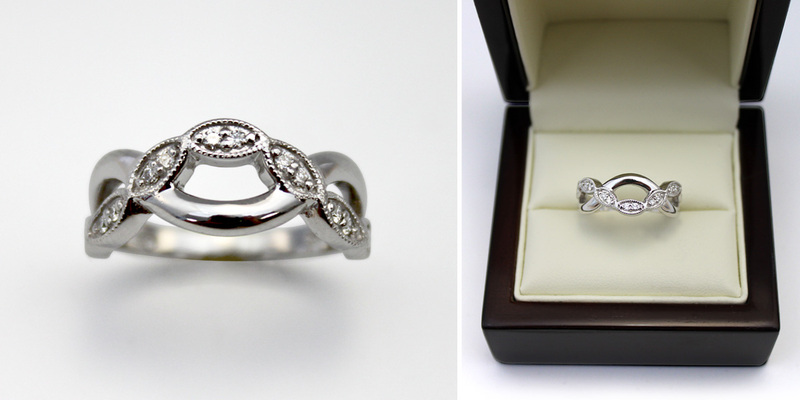 At Bentley Diamond we are passionate about creating custom pieces for our customers. 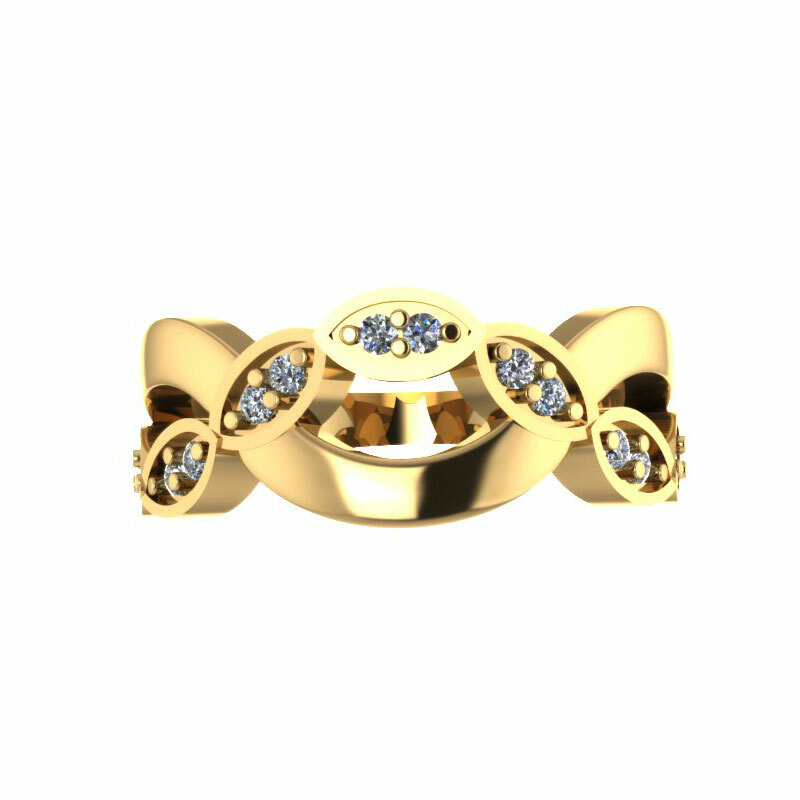 There is nothing more rewarding than collaborating with a customer to create a piece of jewelry that is exactly what they are looking for. 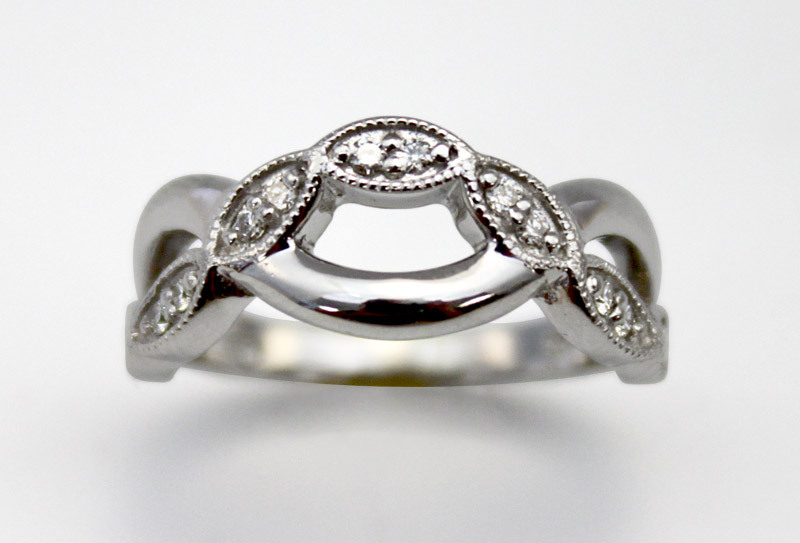 So when Amanda came in and shared her vision for a new ring, we couldn't wait to get started! Every custom design begins with an idea, a dream of what could be. 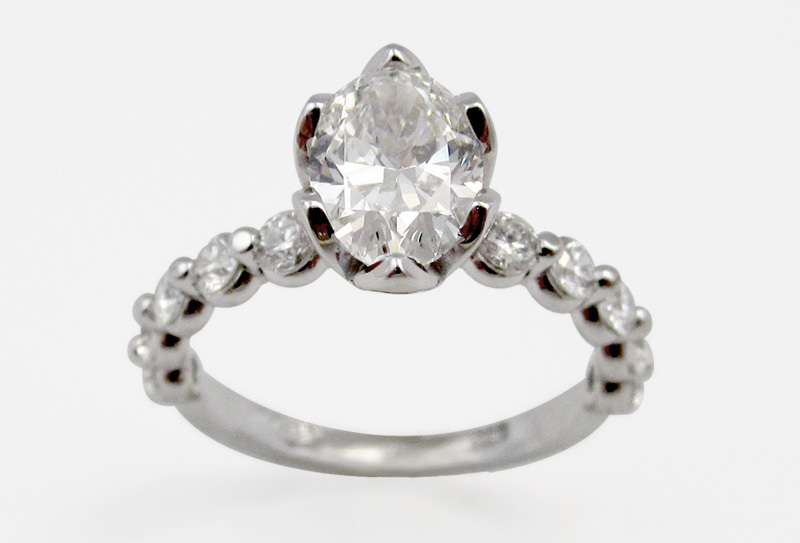 Amanda had a vision and earmarked a ring in which she admired some of it's qualities. She sat down with Tony, our resident custom jewelry designer and guru, to share her thoughts. Together they began the creative process and started ideating. The first step in our typical custom design process is to begin visualizing the design. It begins with the initial conversation which then transitions into creating the scaled sketches that always include the specifications of the materials that are to be included in the piece. During this creative process another ring in our cases caught the attention of our customer and was included in the conversation and sketch. The fruits of which can be seen in this initial sketch, a hybrid of two concepts. 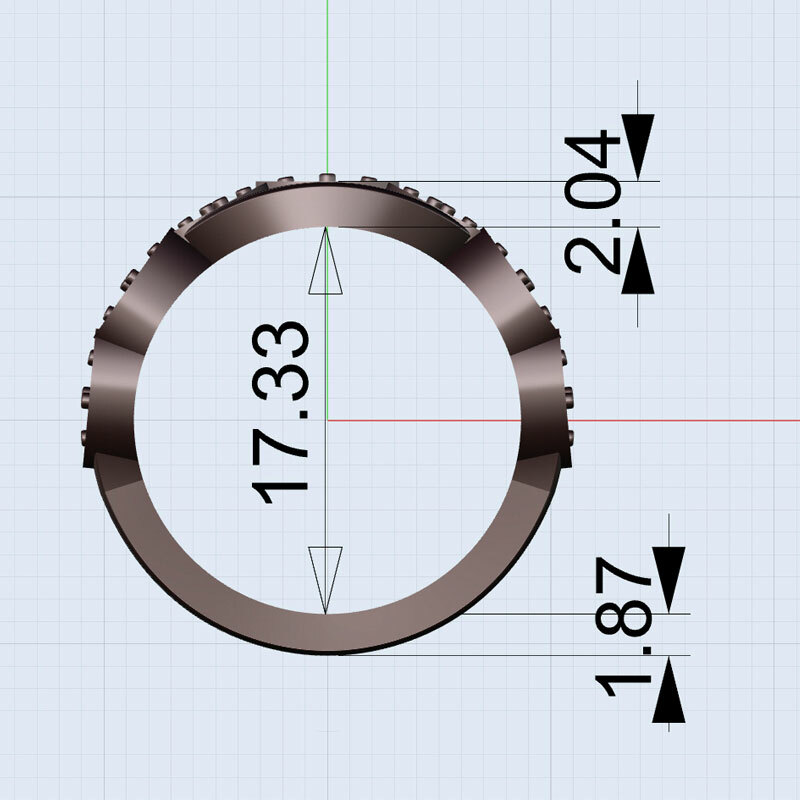 Once the vision for the design has started taking shape, through the sketches, the next step is to create the Computer Aided Design renderings of the jewelry (or CAD). 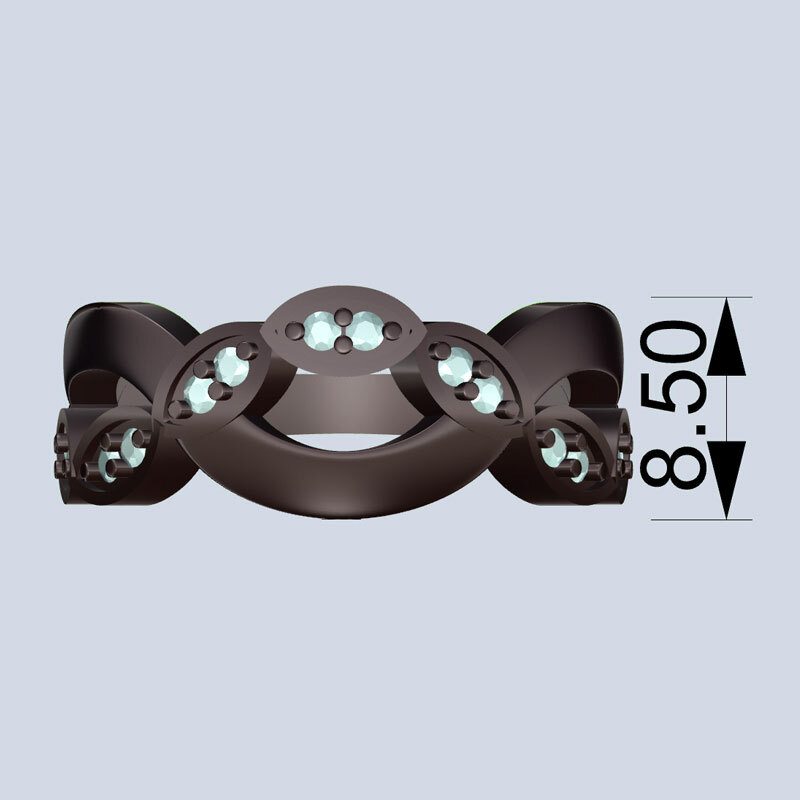 Bentley Diamond's CAD renderings translates the sketched design concept into 3D models which allow us to create multiple perspectives and visualization of the design in order to explore and examine every facet of the designed piece for review, feedback, and any minor adjustments, if needed. 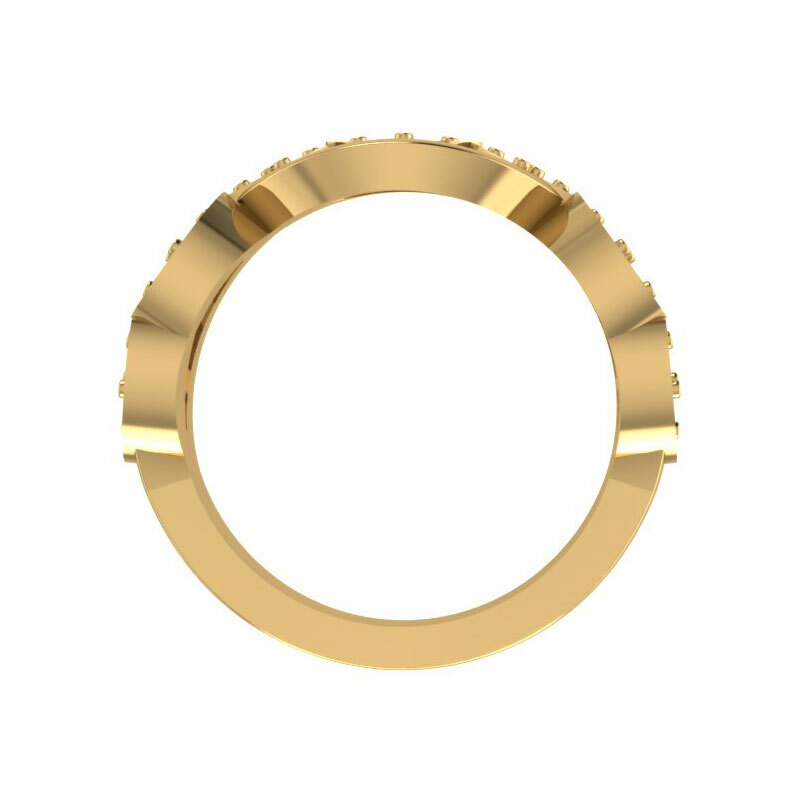 These renderings were presented to Amanda for review and based on her feedback we moved to the next step in the process, creating a wax model of the ring. 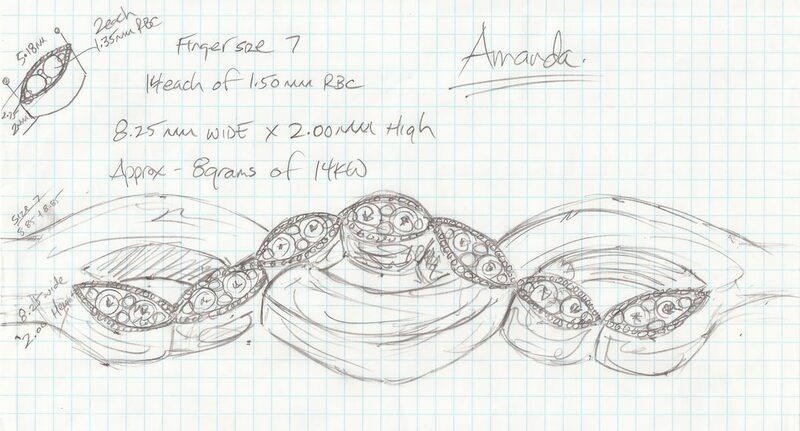 In the final stage of the custom design process, Tony and David work together to make Amanda's vision a reality. 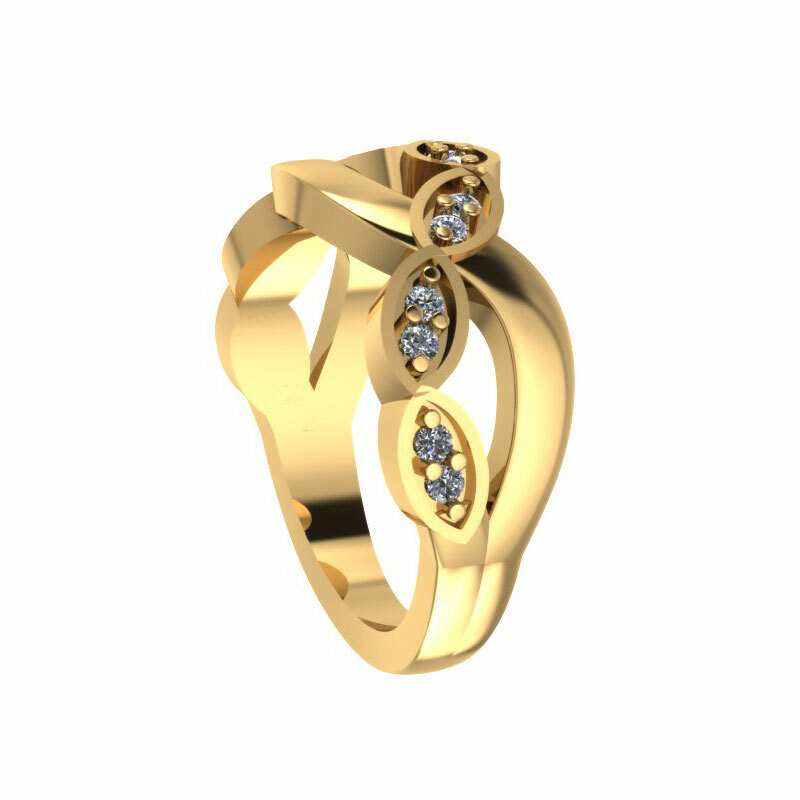 Using their vast professional expertise in gold smithing and diamond setting they created a beautiful piece, paying very close attention to every detail. During this final stage, Tony had pre-finished the designed ring, and our seasoned Diamond Setter, David, jumped in to set the diamonds. Once the ring was completed, we got to enjoy one of our favorite parts of the entire process, presenting the finished custom piece to the customer! 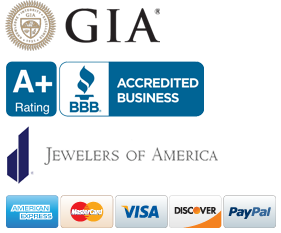 Amanda was thrilled with the result and that is most important dynamic to us at Bentley Diamond!